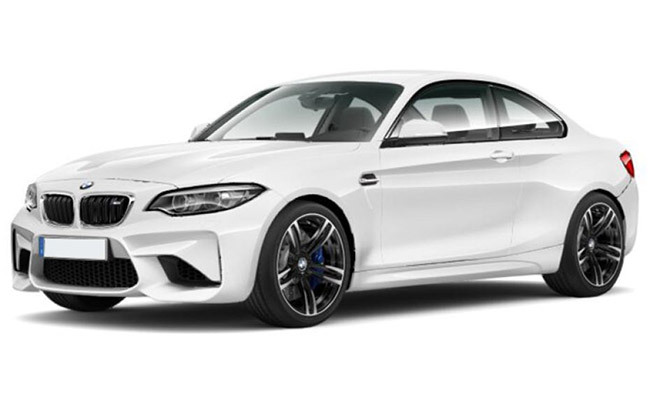 The M2 Competition oozes sportiness from the front and rear but gets muscular sides. The signature kidney grilles on front fascia get reworked with a glossier black finish. 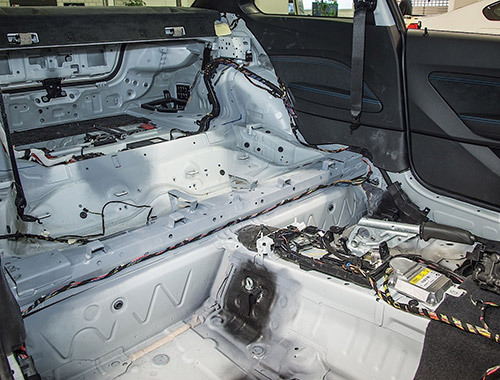 While the nose job looks fresh BMW has retained the eyes with Adaptive LED headlights. Other key updates include M4 inspired aggressive front air-intakes. Moreover, sculpted spoiler coupled with quad-exhaust at the rear promise roaring performance. BMW\'s most affordable M model sits on massive 19-inch forged alloys housed in 245/35 section performance tires. Last but not least, sports coupe lovers have one non-metallic (Alpine White) and four metallic color options (Sunset Orange, Hockenheim Silver, Long Beach Blue, and Black Sapphire) color options to choose from. 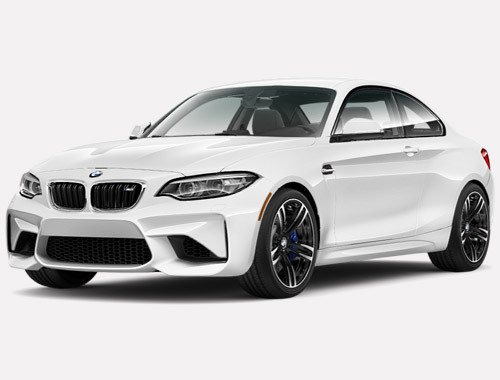 True to its BMW badge, the M2 is every driver\'s secret dream. One look at the cabin and the deep corners of your heart would inflate and burst out loud shouting “I Want This”. The M2 Sport seats are draped in Dakota leather needled with contrasting stitches. 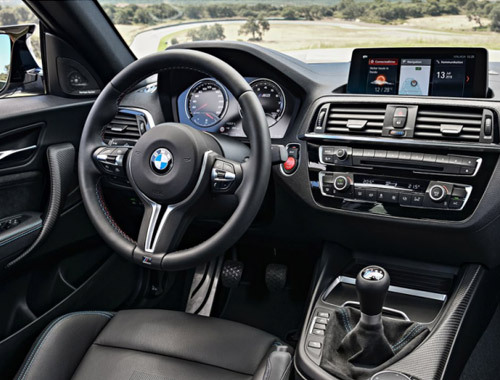 The M bits like M Drive buttons on the steering wheel and the Anthracite interior trim multiply the BMW aura. If there was an escape-route to paradise you would surely take the M2 with you. The iDrive infotainment system with seven speakers and 205 Watts music system and smartphone connectivity will surely make the journey worth cherishing. M series Signature illuminated M logo on the seats. 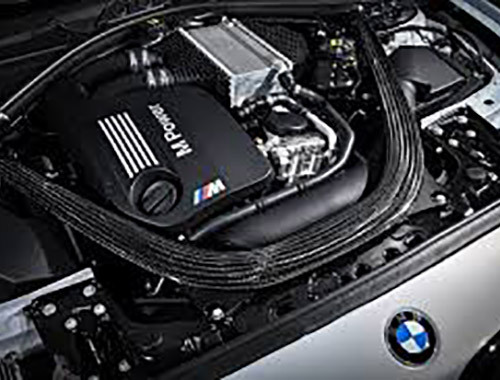 The M2 is powered by a reworked 3.0-liter six-cylinder turbo-petrol engine which replaces the previous gen N55B30 engine. 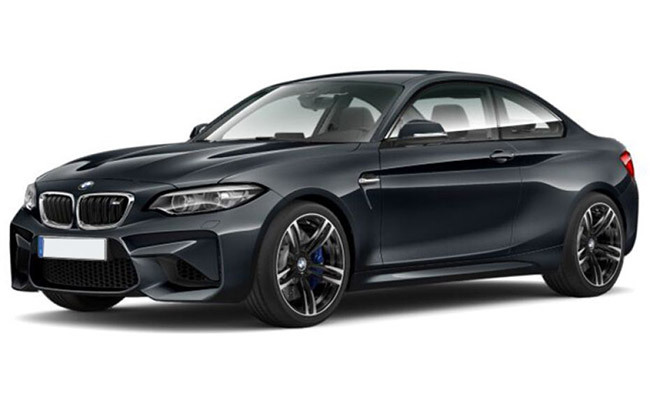 The new power plant is borrowed from the BMW M3/M4 and delivers 404bhp and 550 Nm (almost 40bhp and 85 Nm more than the previous model). Transmission duties rest on a rear wheel drive seven-speed dual-clutch automatic gearbox. When you hit the full throttle it promises a 0-100kmph time of 4.2 seconds and a top speed of 250 kmph. 0-100 kmph in 4.2 seconds.